Denmark-based cable supplier NKT said it has received a letter of award from Norway's Equinor to supply and install a cable system of 200 kilometers of 80 kV high-voltage DC offshore power cables for the second phase of the Johan Sverdrup oil field development project in the Norwegian North Sea. The award is conditional upon finalization of the formal contract which is likely to take place within a few weeks, NKT said. The contract value is expected to be approximately EUR 110 million, corresponding to roughly EUR 82 million in standard metal prices. The cable system comprises two 200 km of cables, which constitutes the symmetric +/-80 kV HVDC solution, and expected production start-up is end-2019. The turnkey HVDC power cable solution will transmit power from the Norwegian power grid to the offshore oil field, significantly reducing CO2 emissions from oil and gas production. NKT President and CEO, Michael Hedegaard Lyng, said, "I am very pleased that we continue working with our long-term customer Equinor Energy AS. I see the letter of award as proof of our premium DC technology capabilities and of our ability to provide turnkey solutions with NKT Victoria as a differentiator. 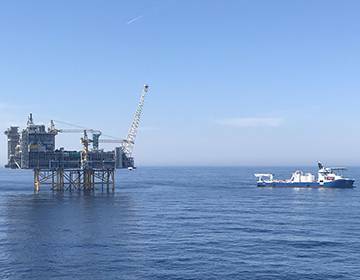 The letter of award for Johan Sverdrup 2 is further strengthening our leading market position in the oil and gas segment, which along with offshore wind and interconnectors represents good growth opportunities for NKT." Johan Sverdrup is among the five biggest oil fields on the Norwegian Continental Shelf. Earlier in 2018, NKT completed supply and installation of the high-voltage DC offshore power cable solution for the first phase of the Johan Sverdrup development project. Installation was conducted by NKT’s cable-laying vessel NKT Victoria operating at 600 meters depth, which marks one of the deepest installations of bundled high-voltage DC cables in the world. In addition, the Johan Sverdrup 1 solution from NKT now constitutes the world’s longest extruded offshore cable to an offshore oil and gas platform facility.